Two men were arrested after the car in which they were travelling crashed into pedestrians on a busy Melbourne street Thursday, leaving up to 19 people injured, media reports said. The motive of the incident was not clear immediately. Sky News Australia reported police arrested the driver of the white Suzuki SUV that plowed into the crowd and another man who was in the vehicle with him. Sky News said the driver was was wrestled to the ground and handcuffed after his vehicle crashed into a bollard by a cable car stop around 4:40 p.m. 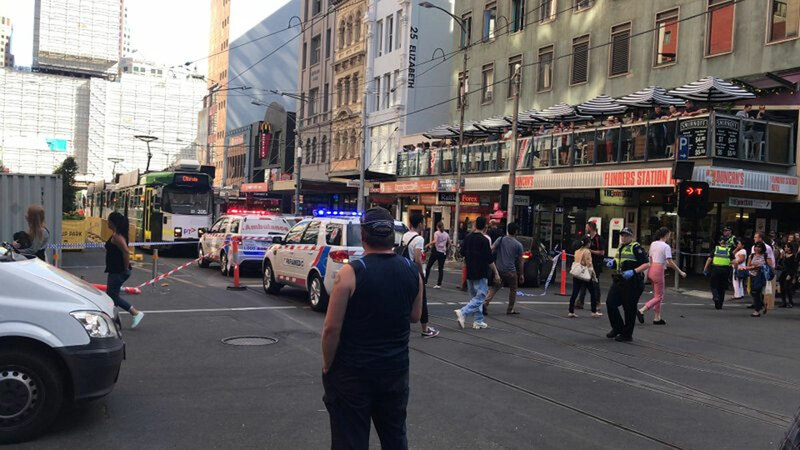 Witnesses told Sky News Australia the car ran a red light, speeded up and struck pedestrians on Flinders Street in the Melbourne central business district. Car Rams into Pedestrians in Melbourne, Australia. people injured, media reports. Two men were arrested after the car. people have been taken to hospitals.